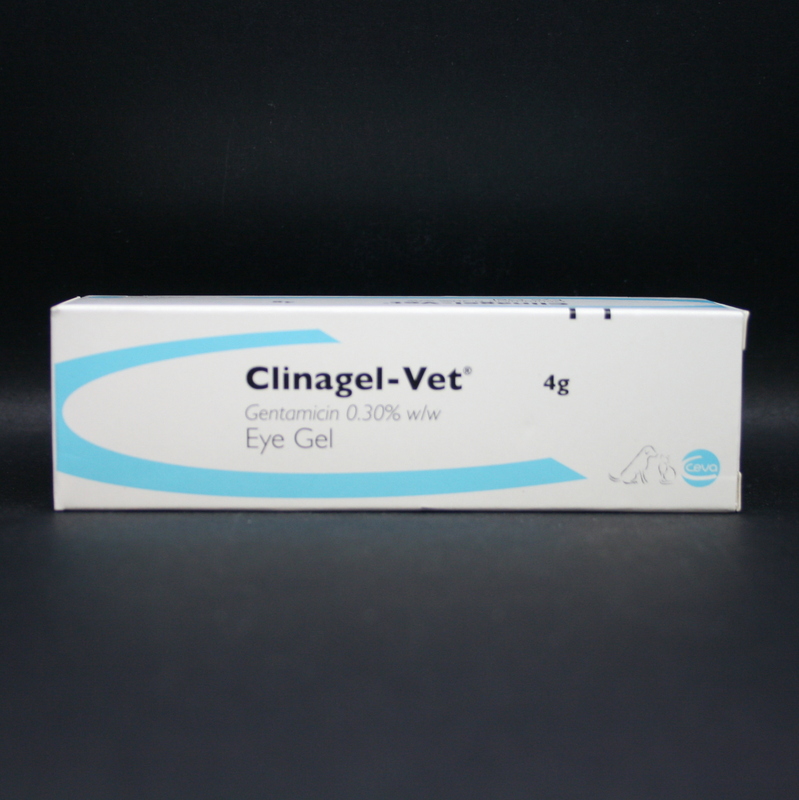 Clinagel Vet is an eye gel that contains gentamicin, an antibiotic from the aminoglycoside group. 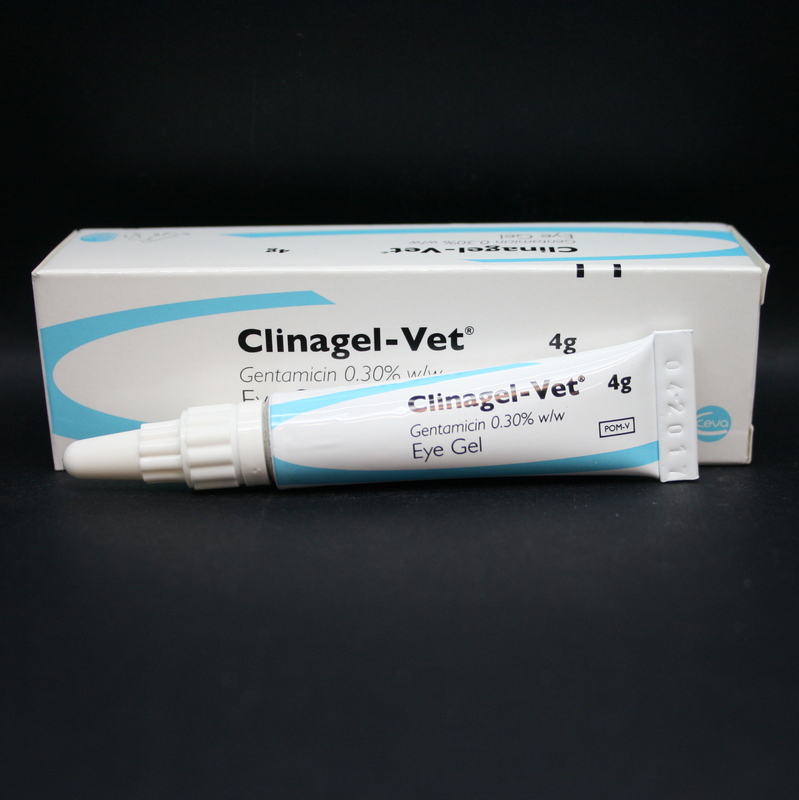 It is licensed for use in dogs & cats against infections due to gentamicin-sensitive bacteria, in the external structures of the eyelids & eyes, as well as superficial eye infections. 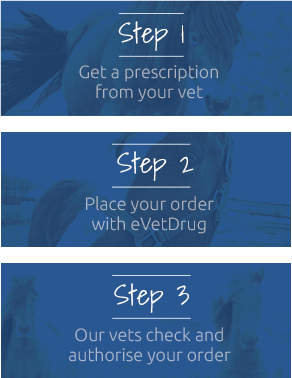 According to the prescription CASCADE system, it can also be prescribed by vets for use in horses. 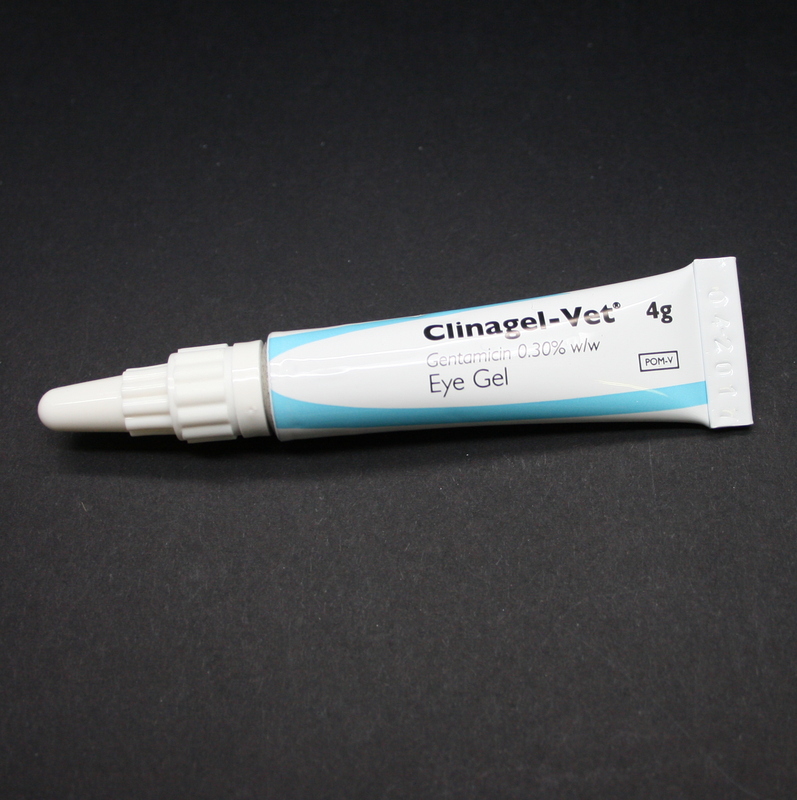 It is suitable for treating keratitis, bacterial kerato-conjunctivitis, conjunctivitis, abcessess & ulcers of the cornea, blepharo-conjunctivis & blepharitis, acute dacryocystitis & meibomitis. Also infections associated with damage from a physical or chemical agent & complications caused by foreign bodies in the cornea or conjunctiva. Warnings & Contraindications- Avoid contact with the eye & the tube.